Ice the area to help reduce inflammation and tightness in the Achilles tendon, calf and heel. 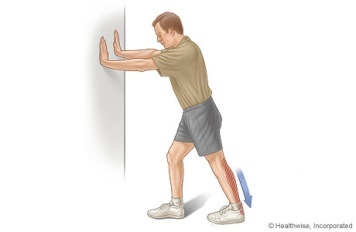 Stretch the calf muscle before and after exercise in order to prevent stiffness and maintain flexibility. Avoid regular high impact training in order to provide the inflamed area some rest. Strengthen the calf muscle so that the calf and Achilles can better handle the stress of exercise. Consider more supportive footwear for activity and daily use. 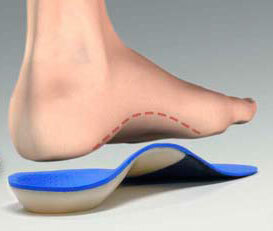 Consider custom orthotics, massage and physiotherapy.